What exactly is an Inshore Grand Slam? An Inshore Grand Slam is made up of three species; Redfish, Speckled Trout, and Flounder. 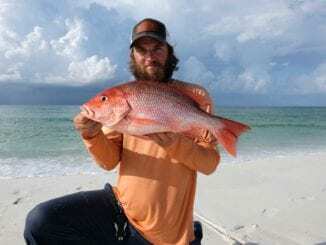 In late 2016, the Florida Fish and Wildlife Conservation Commission (FWC) updated the new Saltwater Angler Recognition Program. The program introduced several categories and ways to challenge yourself while Saltwater Fishing. One of the categories “Saltwater Grand Slams” listed nine different grand slams and the fish required to accomplish each. To qualify anglers must catch the three desired species listed for the specific slam in a 24-hour period. The program encourages catch and release, photos are proof of catch, and can be submitted here. In Northwest Florida, fall (September – November) provides some of the best fishing in the country. The Inshore Grand Slam provides a challenge for many but with a little knowledge, it’s easily achievable. But how? It’s simple but it requires focusing on one species at a time. The quickest way to knock these two off is by throwing topwater. 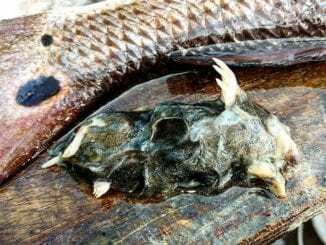 The first thing you should do is find the bait and quickly cover water until you get the first bite. If the fish misses slow down and work the area thoroughly. 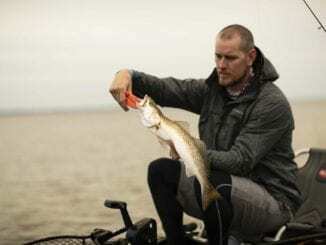 Speckled Trout and Redfish will both feed heavily at first light and topwater is one of the best to locate them. If you locate the fish and they are just swatting at the topwater, switch over to a soft plastic begin working the area. The third and final fish needed to complete the slam. They can be hard to find but they aren’t hard to catch. Flounder frequent the Santa Rosa Sound in the Spring and Fall. When targeting them the majority of anglers will use live bait. However, soft plastics do a fantastic job and allow you to cover a ton of water. The first bite is the most important. You have to fish hard until you locate them! The goal is simple, keep the lure in the sand. When targeting these fish you want to keep the lure moving quickly but you most maintain contact with the bottom. This is going to require the use of a heavier jig head. We prefer to use a 3/8 oz jig with a 3″ soft plastic. “Potholes” is the term used to describe the areas of sand within the grass and this is exactly where you will find the Flounder. Flounder are ambush predators and spend their lives laying on the bottom waiting to pounce on the nearest baitfish. They are aggressive and are willing to bite multiple times. There’s nothing quite like the “thump” of a solid Flounder. It’s important that you put in the time. Completing an Inshore Grand Slam doesn’t happen by luck. Tons of knowledge is required and this article will help you take the first steps in the right direction.